Railway Recruitment Board (RRB) has set up a link for group D admit card for the applied candidates to check the Exam date, venue of the exam and the timing as the exam will be conducted in two shifts. The selection of a candidate is a two-stage process. The First stage will be based on IQ, that will be conducted on computer i.e., CBT(Computer Based Test). The first date of exam is likely to be conducted on 17th of September 2018. 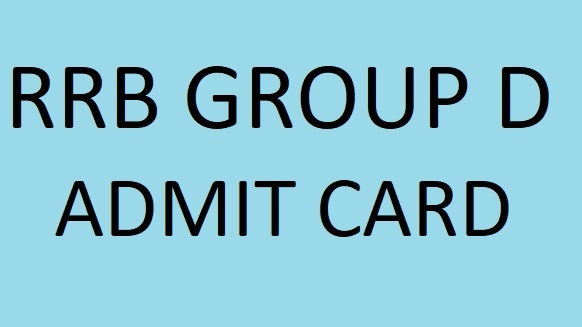 The RRB group D admit card 2018 link will surely be in process on 13th of September 2018. So, the candidates who have registered for the group D exam can download their admit card from the official website i.e.,indianrailways.gov.in.The RRB group has also informed the candidates about the admit card through a via message according to the act of digital India by which each and every applied candidate will be aware of the exam. After downloading the admit card, the candidates will know their date of exam, the venue and the shift i.e., morning or evening. On the day of the examination, candidates must carry the admit card and an ID proof which is mandatory or else he will be discriminated for appearing the exam. The Second stage of the exam will be an offline test i.e., written exam which is known as Physical Efficiency Test (PET). To download your admit card follow the steps given below. Step 2 – Candidates must be ready with their register number, password, and date of birth. Step 3 – Once you have filled up the details give submit if you have made mistake then give reset and these two buttons will be available below the form. Step 4 – The candidates admit card will appear on the screen. Step 5 – Download the admit card and take print out of it.